Please excuse the brevity of this post but I wanted to make readers aware of a marvelous auction tomorrow at Sotheby’s. 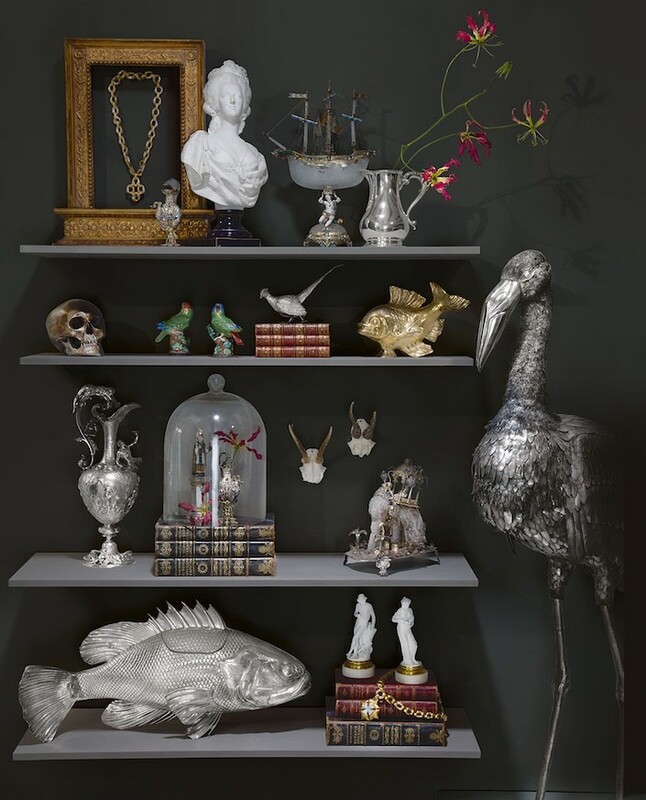 The first of two October sales celebrating the art of collecting, this includes a wide range of collectible objects brought together as a cabinet of curiosities. 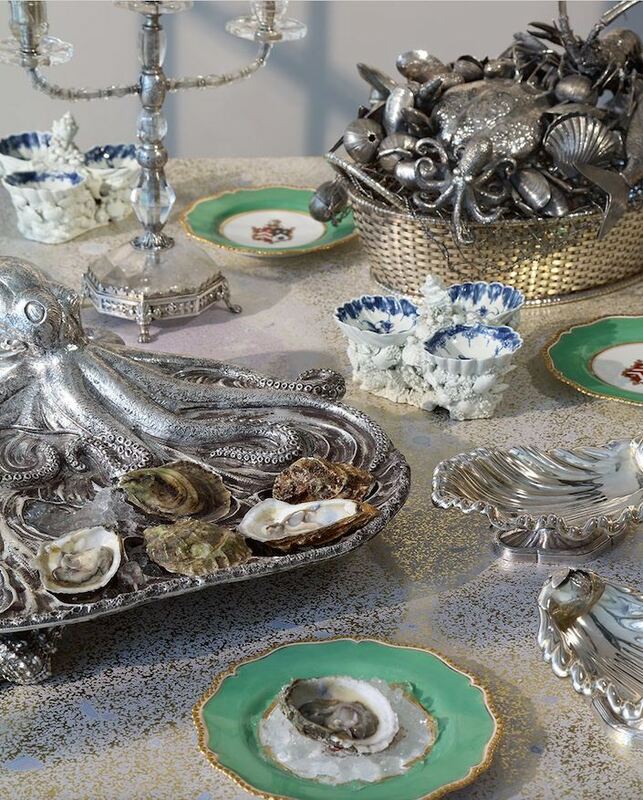 A few favorites include a fantastic Italian silver marine-theme oyster platter as well as overflowing centerpiece by Buccellati, shown below with a set of our (two pictured) Odiot shell shaped tazze. 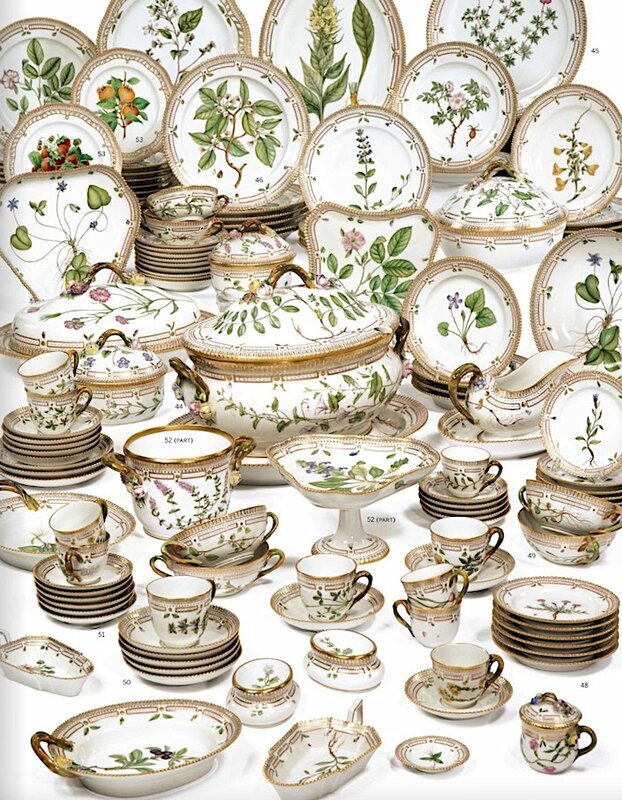 A large set of Royal Copenhagen Flora Danica pieces is presented in various separate lots so those only interested, for example, in cups and saucers or fruit plates can bid for those pieces alone. 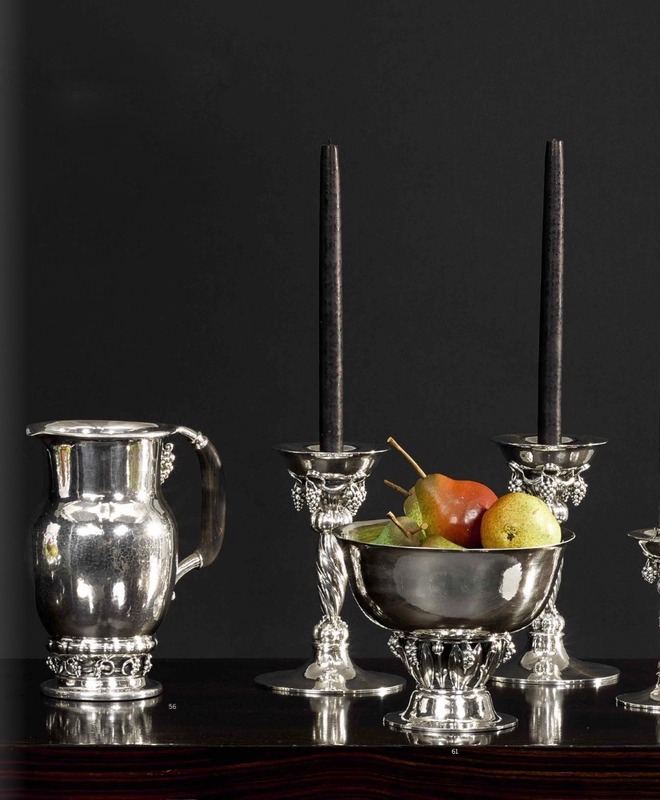 There are copious amounts of silver including a pair of Georg Jensen Grapevine candlesticks, pitcher and similar centerpiece bowl. 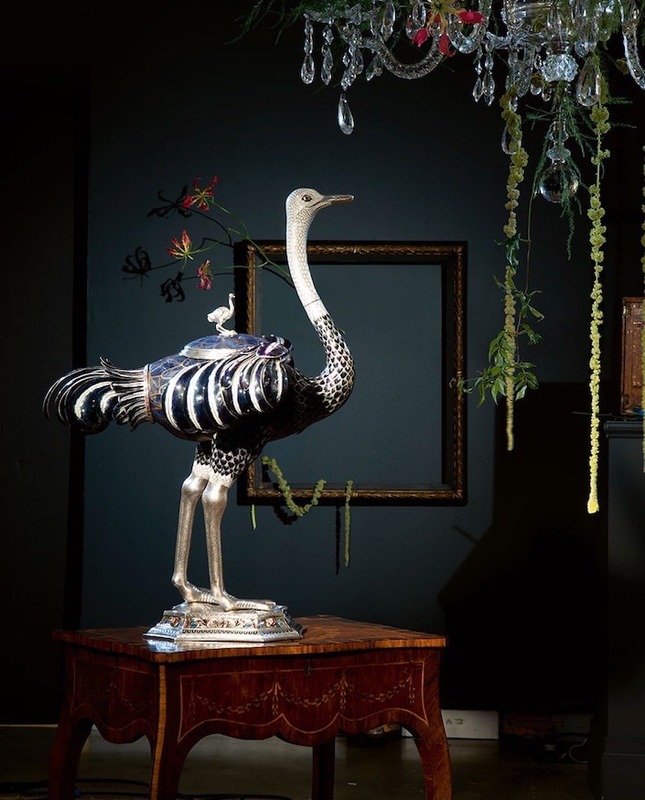 Those looking for a major statement item might be intrigued by this large silver, enamel, lapis 19th century ostrich with wings bejeweled with bezel set rubies, amethysts and garnets. 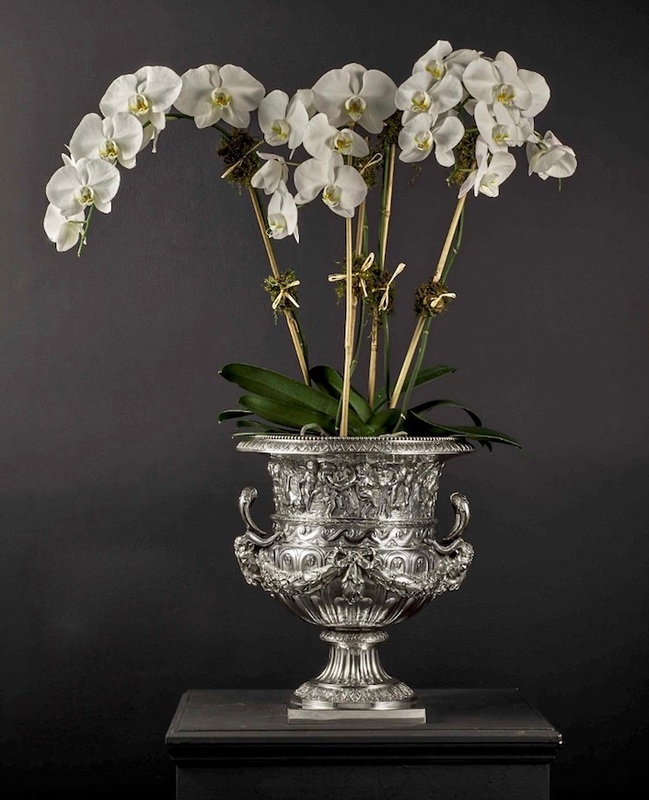 I like how Sotheby’s styled this German silver wine cooler, offering ideas of how many classic pieces can be repurposed in fresh ways. 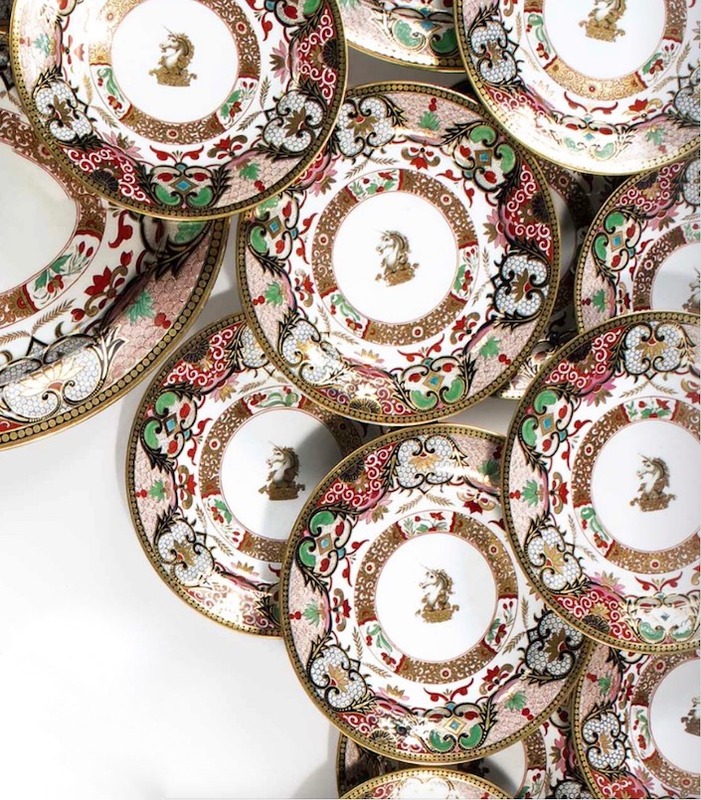 How fantastical is this early 19th century Flight, Barr & Barr ‘Japan’ pattern dinner service?! With the crest of a unicorn emblazoned in the center, the set of 42 pieces would be a distinctive addition to any tabletop collector. 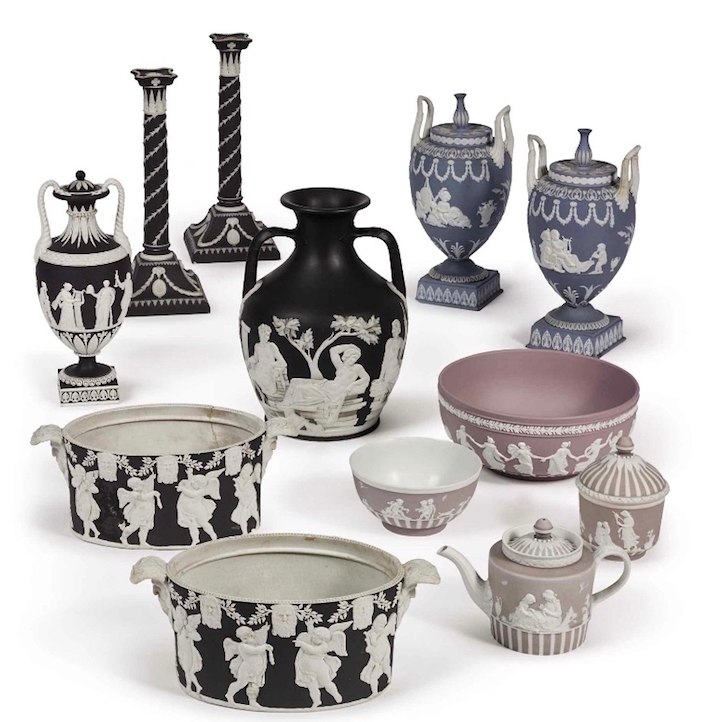 I love the graphic appeal of black and white Wedgwood jasperware and there are several unusual late 18th/early 19th century pieces offered in the sale. And stay tuned for a post regarding the definitive new Wedgwood publication. Sotheby’s has done an admirable job expressing the allure of the whimsy and personal nature of the Kunstkammer and the possibilities of living with historic objects in modern ways. They enlisted the help of food stylist, floral designer and photographer Judy Kim to curate objects from the auction for the cabinet of curiosities inspired vignettes shown here. Be inspired to add to and assemble your own collections into mini kunstkammers of your own that express your interests, creativity and most importantly your personality – it’s what living with what you love is all about! This entry posted in art, auctions. Entry Tags: auctions, Collecting, Silver, Sotheby's, Tabletop Bookmark the permalink. Ravishing! I want all of it…specially the ostrich! 80 queries in 0.418 seconds.